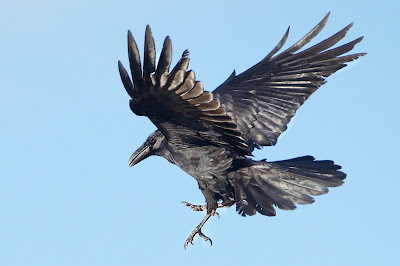 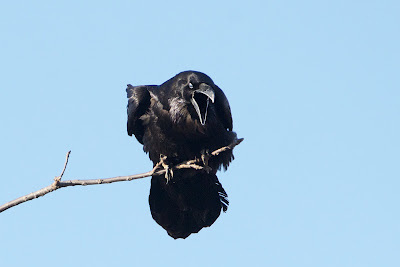 Late this afternoon I hiked across the fields of Valley Forge, crossed over County Line Road and looked to see if the raven was on the raven's nest. And yes, he or she was. 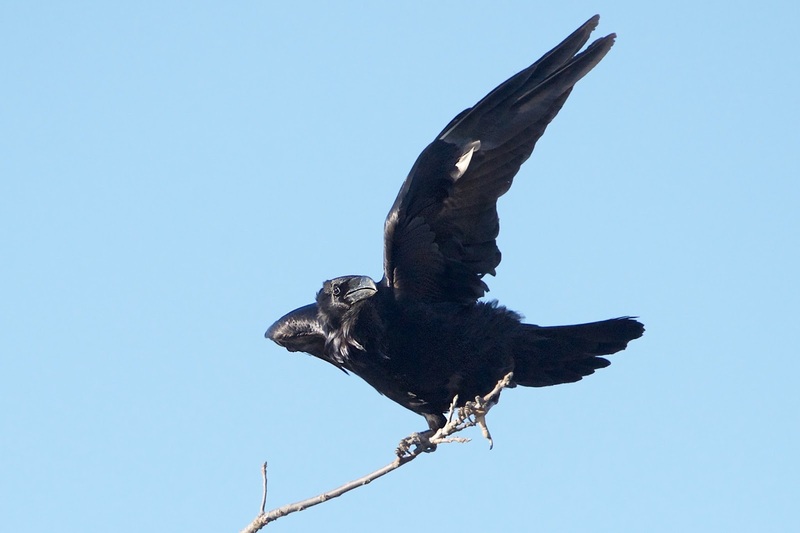 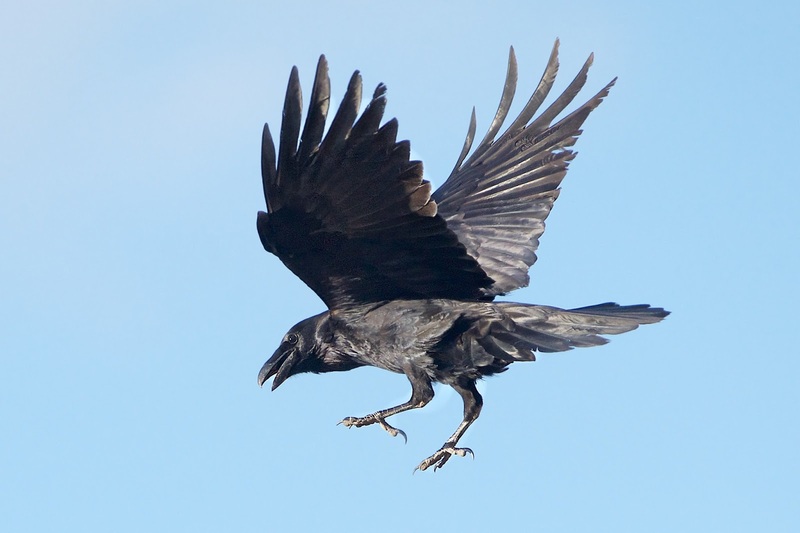 I was quite far away up on the ridge, but the raven saw me as well, left the nest and flew far away, circled and then came roaring back and landed in a tree close to where I was standing. 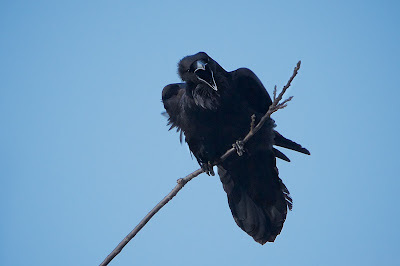 He cawed and cawed and ruffled his feathers and yelled at me. And I just took his picture and tried to remain calm. 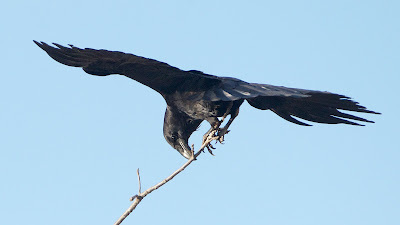 He or she finally calmed down, flew back to the nest and settled back in.